I'm dropping this here instead of the IS200t or RC200t forum because I own a NX and I feel like they don't get enough love. Anyways, I have two 8AR-FTS engine broken down (no I'm not a mechanic) and thought I would share some pics of parts of the engine not usually seen... enjoy FYI, these engines had around 60k on them. Check out that intricate piston head design. 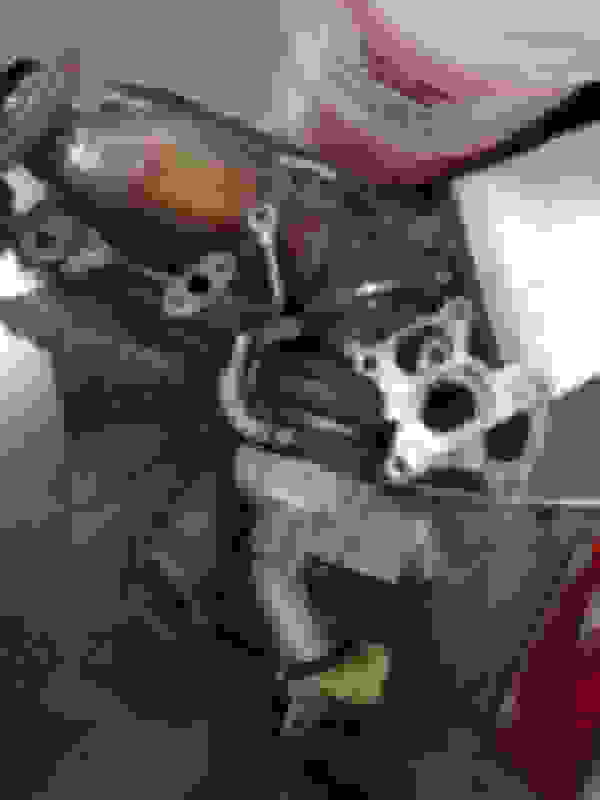 Also you can't see it too well but the throttle body is water cooled. exhaust port, I imagine the different sizes are because the turbo it twin scroll. Here's the little baby turbo and down pipe. 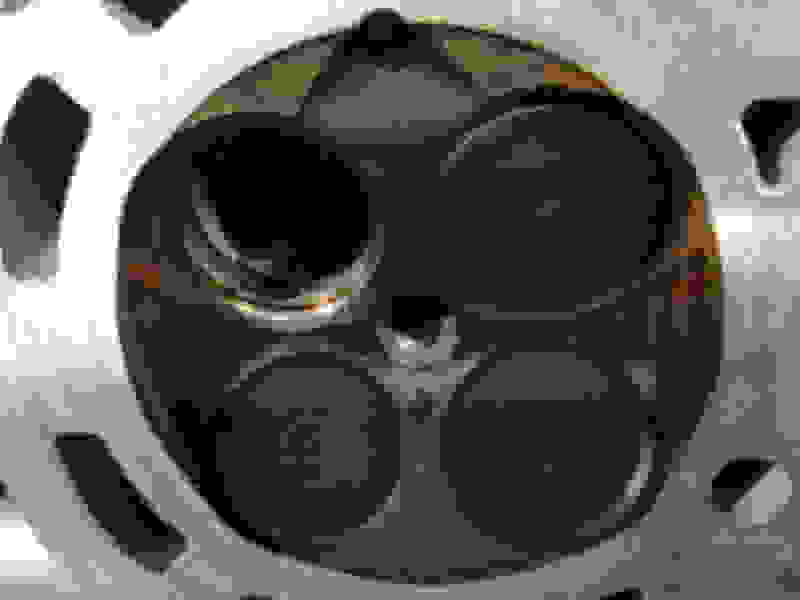 Piston side of the head. 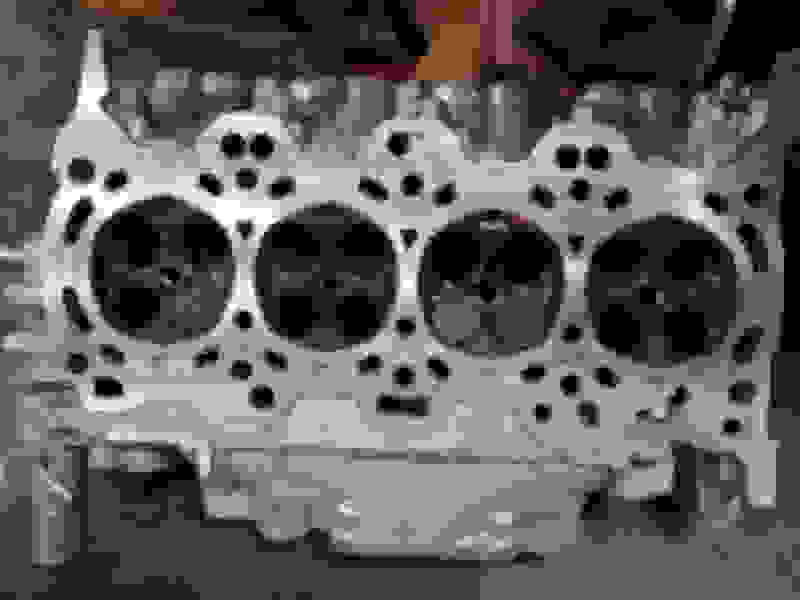 Shows the valve sizes, layout and where the DI injects. Close up of the ports and valves. You can see just how dirty the intake side is. That is a rather large amount of carbon. Exhaust valve, no too bad for 60k. This is the scary stuff. 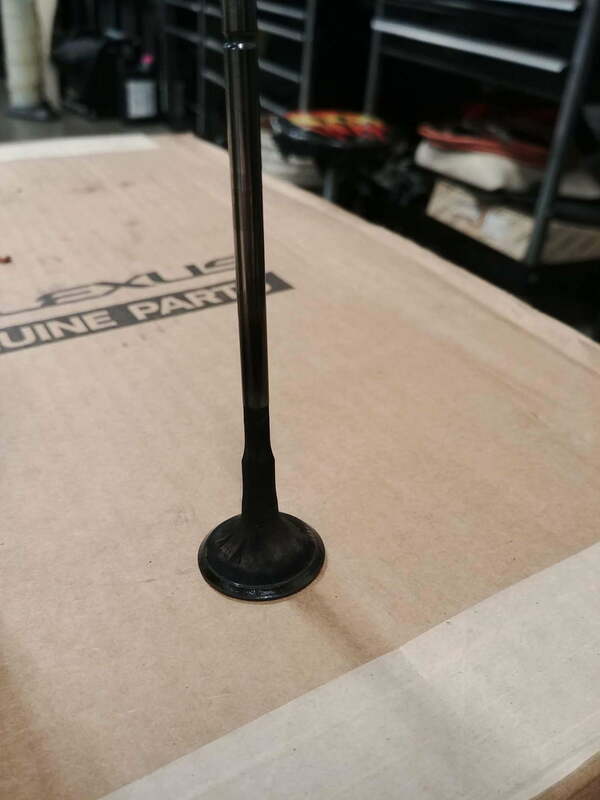 Here is a intake valve. Yes, the car has 60k on the engine but that is a lot of carbon. This is enough to convince me to Sea Foam in regular intervals as a maintenance precaution. A look at the anemic water to air intercooler. This is why I have stated that any tuning on this engine should start here. This intercooler heat soaked on me in one pass at the track. what did you run at the track? I ran [email protected] in the 1/4 mile, which seems slower than it should. I should be trapping about 95mph. I think I should replace my spark plugs as my car had 75k miles at that time. I have a thread with my track slips but I think the fastest my current car has done at the local track was 15.7 @ 88mph. This is all determined by elevation, humidty.. etc etc etc though. Last edited by skyshadow; 01-29-19 at 03:16 PM. 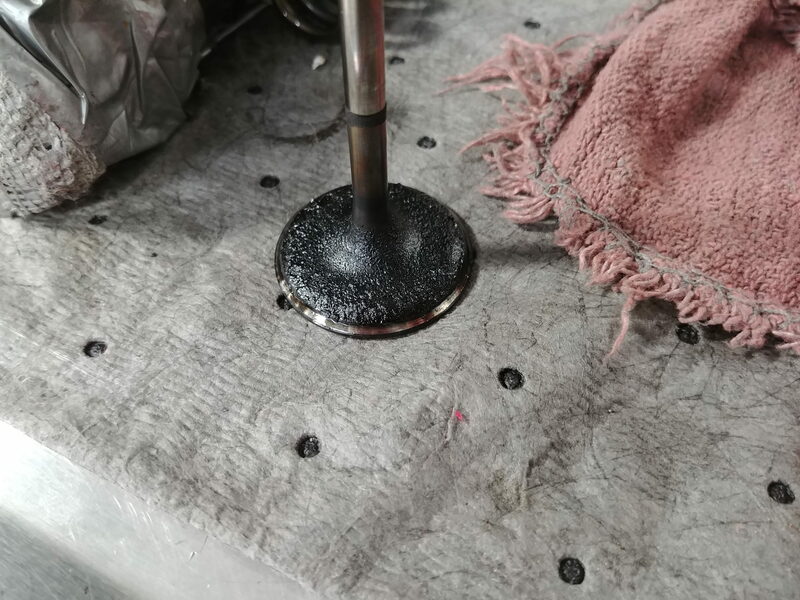 First off that is not a significant carbon buildup on the intake valve. Second the IC is actually not that small for a air-to-water. The problem with the IC system is it’s separate from the engine cooling system however the turbo cartridge is in the IC system. 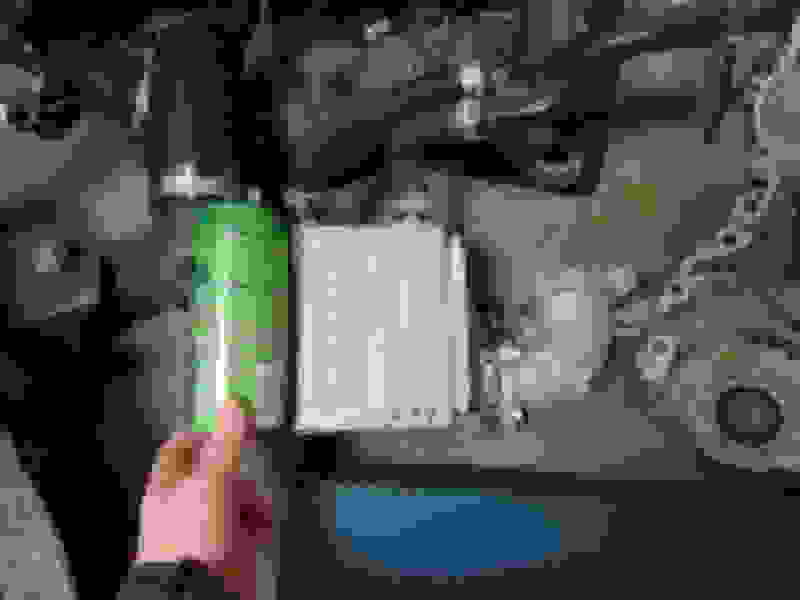 If you were to put the turbo in the engine cooling system that would help along with running the IC pump constantly (it will not constantly run and not always run at full flow). Donno. Looks a plenty deposit to me. Does not take much. Not as radical as I seen, yet - not as clean as it could have been either. First picture with the engine block joint face up made me worry. This is not a very good engine design for longevity. Before I get pummeled by all kind of nasty remarks, I state for a record – I love my NX and want to enjoy it for long time. Meantime, take a look at an article about Ford Focus RS and YouTube video about the same. I know Ford is not a Lexus… just read and watch. Links are below. 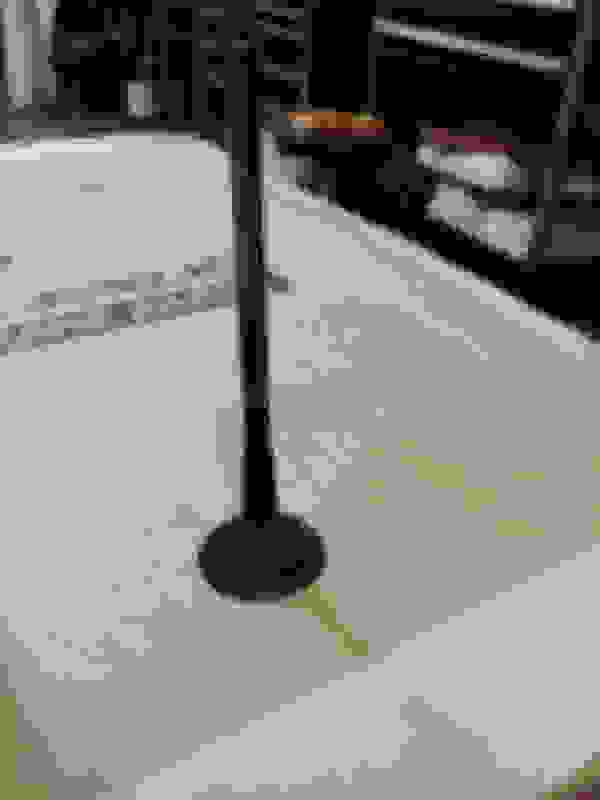 Last edited by Lex2000TL; 01-29-19 at 07:12 PM. Oh, I didn't mean to come off like a ****. I thought it was funny to ask that on a thread with engine internals. Hot diggity dog, I wish I knew as much as you. 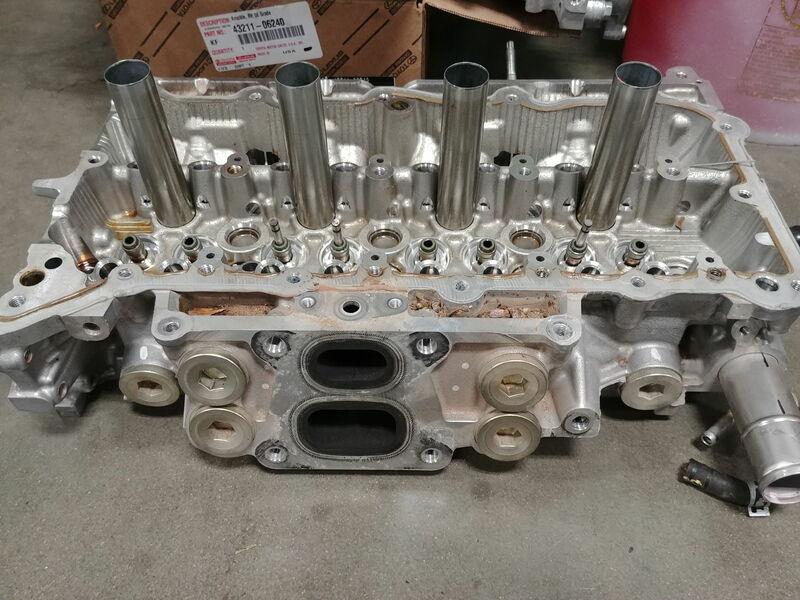 First picture with the engine block joint face up made me worry. This is not a very good engine design for longevity. I'm assuming you are talking about the open deck design of the cooling jackets? This is not a problems for our engine, we don't make enough power or push enough boost. An open deck is bad under heavy power, the cylinder wall body actually flexes and vibrates back and forth under the forces. Open deck blocks are on A LOT more engines than you would think. I believe all Honda B, D and H series engines are built open deck. And think about how well they are known for out surviving everything but the roaches. Now, if you start hopping up a B16, you'll want to get deck support with water jacket fillers or sleeves or bad things can happen. Not too worry about the open deck design here either. The Focus RS makes way more hp and the space between the cylinders is much much less. Just have a question for OP: what were the reasons for these engines breakdowns? The deposit on the back of the intake valve actually worries me more...isn't this engine supposed to have port and direct injections -_-"
OP what is the history on this engine you broke down? Is this one you put 60K on or is it a used engine? Previous owner may not have run 91/93 octane. That will lead to the minor deposits you see in the picture. Seafoaming is not a bad preventative measure but be careful with it. You can damage the motor is not careful. Hydro lock and failed catylitic converter are common problems from improper use. It was two 8AR-FTS engines, not one. One had 60k and the other 61k. They both had the same issue, which is an issue we are inspecting for the 8AR. I would rather not talk about the issue because I don't want to start some kind of false panic. If it turns out to actually be a large scale problem, you would hear about it as a recall. Nothing you could do about it but worry anyways. If you are having your services done at a dealership, they are trained to look for known issues during inspection. It's not something that will make the engine blow up or anything. I will say, NOT RELATED TO THIS ISSUE, I don't think a single driver does the turbo cool down time procedure on the NX200/300,IS200 and RC200 when parking. Am I correct? Acheuk, You are correct. These engines are direct injection and port injection. 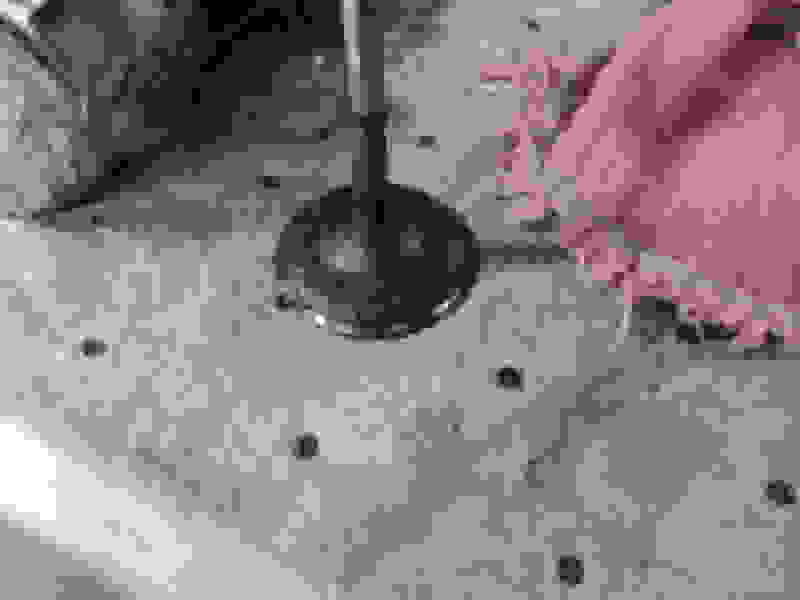 The port injection is periodic for cleaning purposes, not all the time. 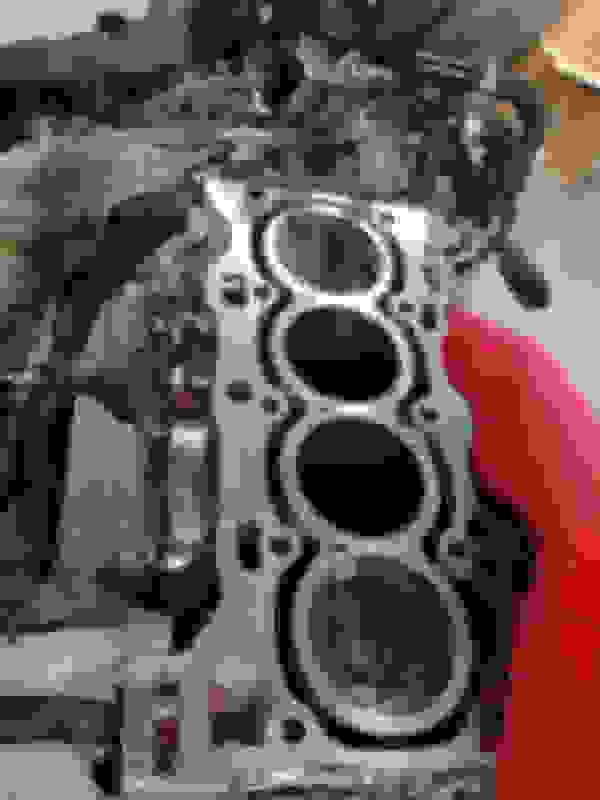 Loophole, These engine were brought to Lexus for break down, inspection and parts replacement. I did not put the miles on them. The owners stated that followed the rules of premium fuel. I will agree that the carbon build up on DI only engines was much worse.